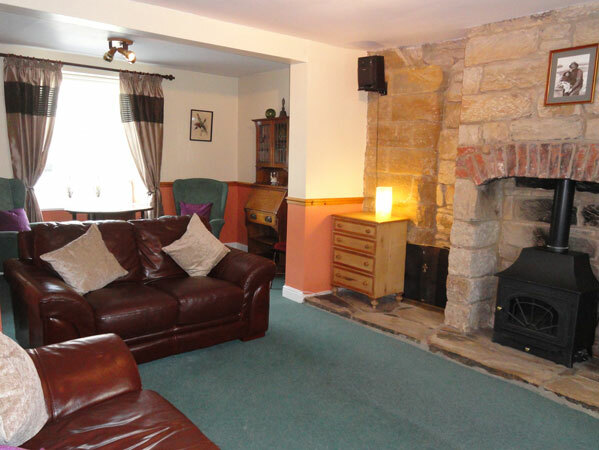 Grange Farm holiday cottages Whitby is a really spacious mid 19th Century Yorkshire Stone Farmhouse, well- furnished and full of character. 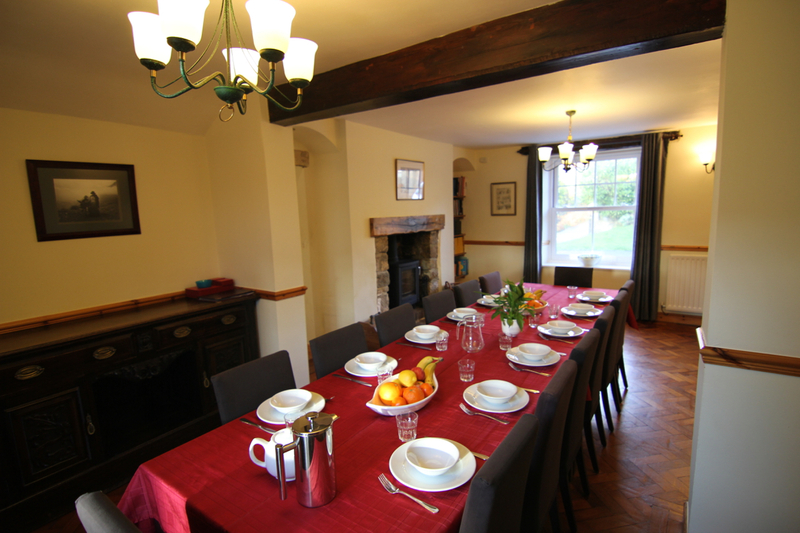 The house offers self catering accommodation, for maximum 14 people, and is excellent for families and friends wanting to holiday together. 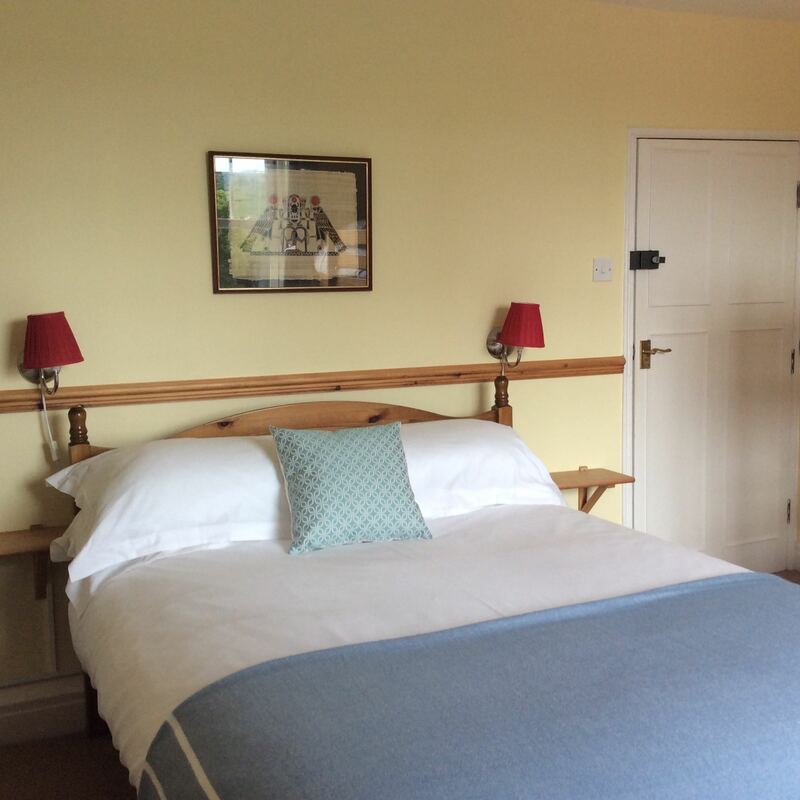 The self catering accommodation has five bedrooms and two sitting rooms. 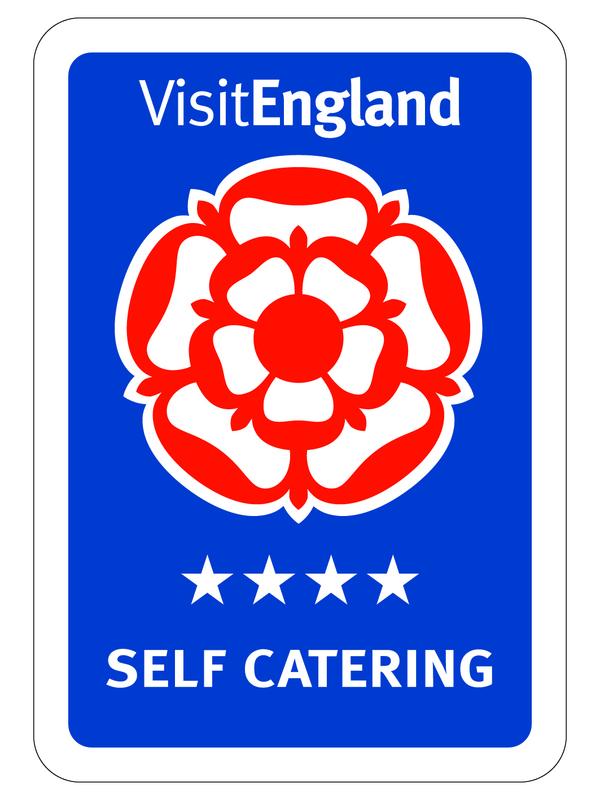 VisitEngland has awarded us with a 4 star rating. 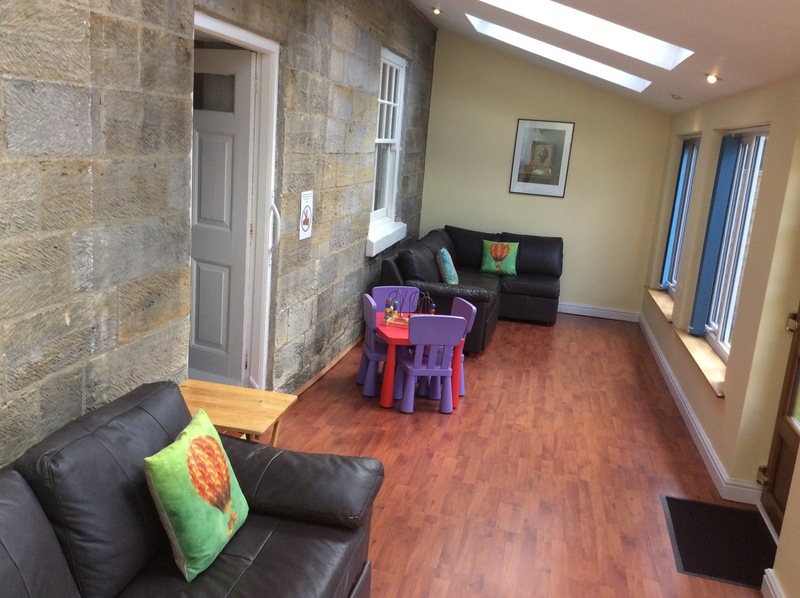 Ground Floor: the first sitting room has leather sofas, a two seater and a three seater sofa, as well as two high back chairs. There is a TV, DVD player, and stereo/radio/cassette/CD in this room. 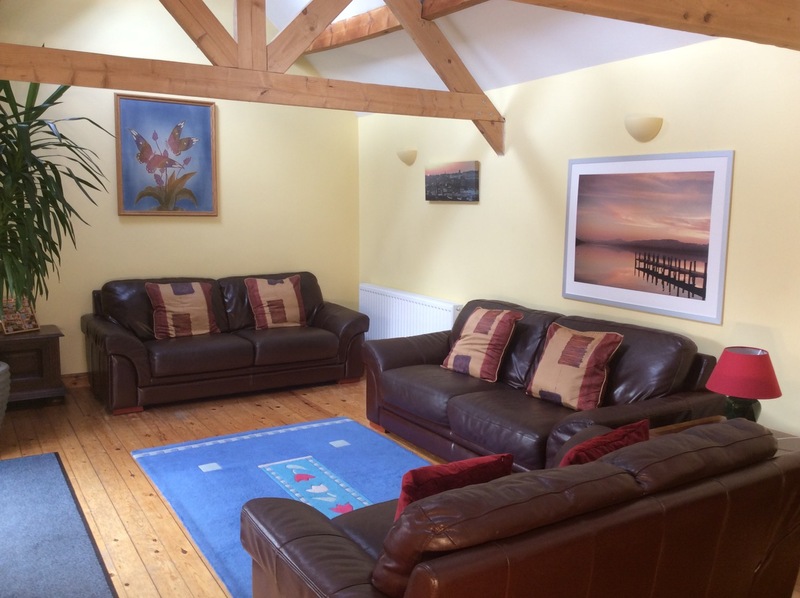 The second sitting room (we call it the yellow room) also has leather sofas. Two, three seater sofas, and a two seater sofa, as well as several pieces of other furniture. There is also a music centre and some childrens toys. The "yellow room" has a high vaulted beamed ceiling (see picture to the right). 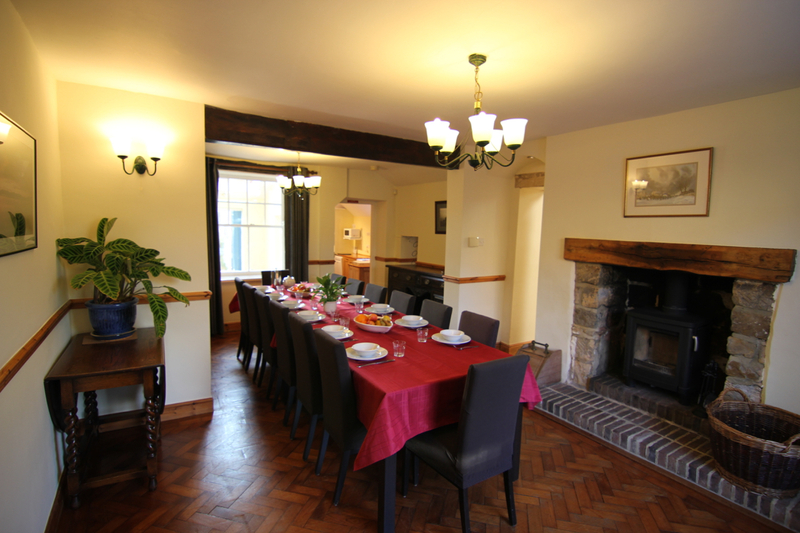 The spacious dining room has a wood burning stove and seating for 14. Wooden logs can be bought locally. 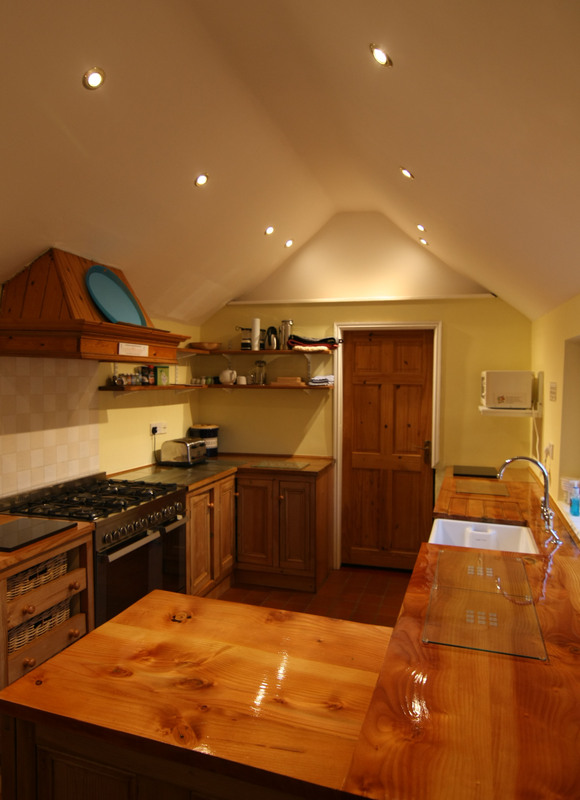 The well equipped pine kitchen is next to the dining room. 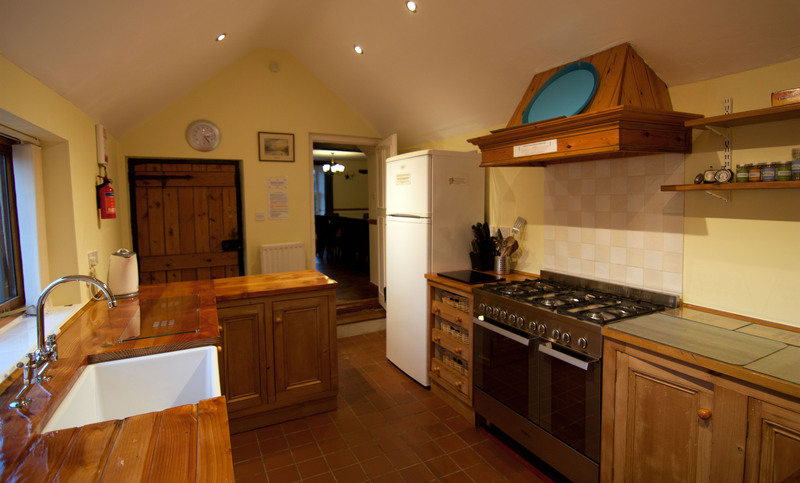 The kitchen is equipped with a 110cm wide gas-oven/cooker, microwave, kettle, dishwasher, fridge, freezer. 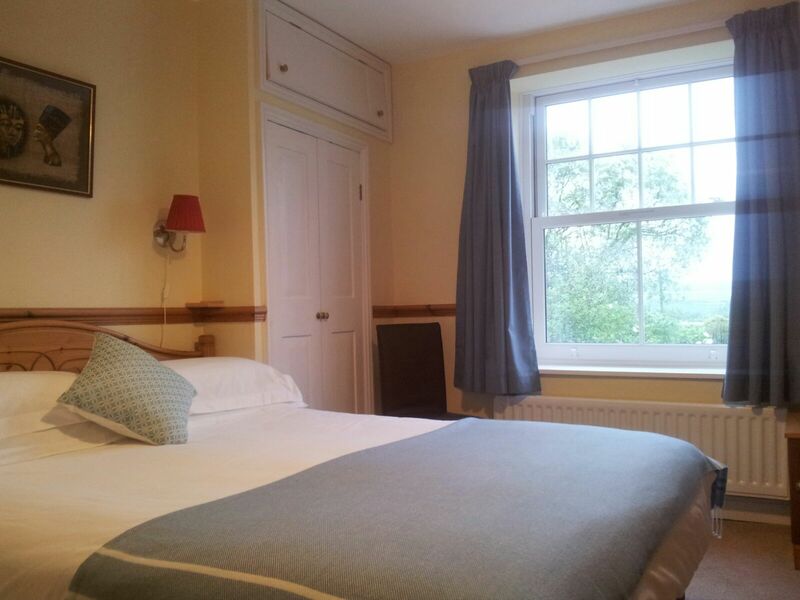 There is a separate utility room which has a washing machine, tumble-dryer, iron and ironing board. A separate downstairs toilet is also located in the utility room. The house also has a large conservatory with 2 corner sofas and the conservatory gives entrance to a south facing fenced garden and patio with garden furniture and barbecue. 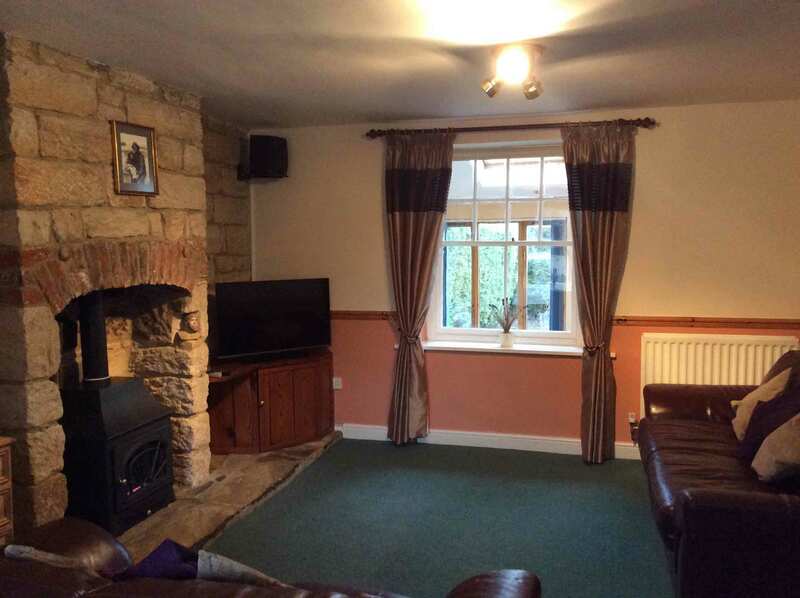 - Second sitting room with leather sofa's, TV, DVD player and music system. 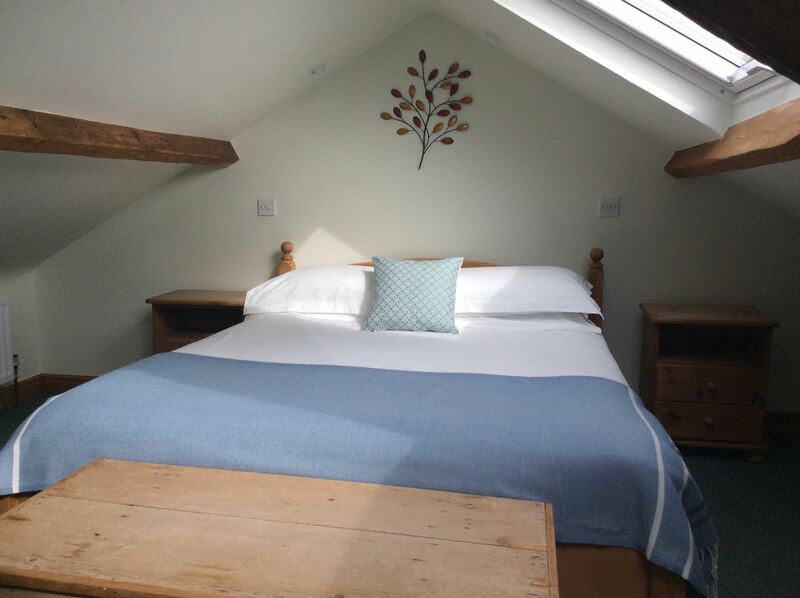 - Linen (duvets) is included. - All the bedrooms have blinds or curtains. - The open fire has a fire guard. Living Room with flat screen TV, DVD player and hifi system. Picture to the right is the other side of the living room. 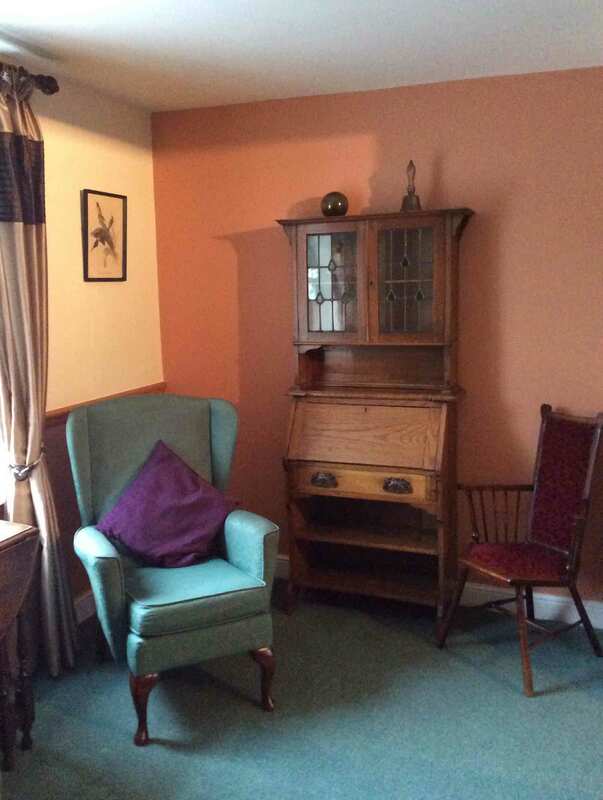 Photo to far right is the new woodburning stove in the dining room. Family bedroom with king size bed and full-size bunk-beds. 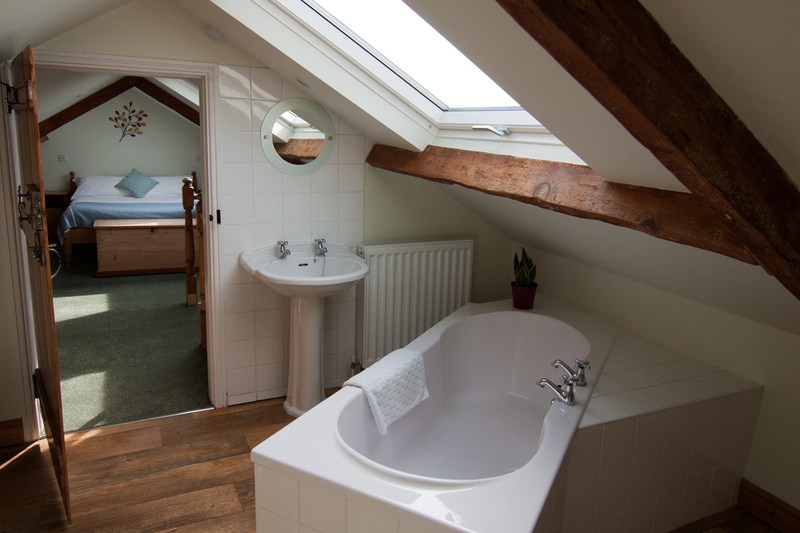 Bathroom of attic bedroom. There is also a seperate shower in the bathroom. Family bedroom with double bed and full size bunk beds.